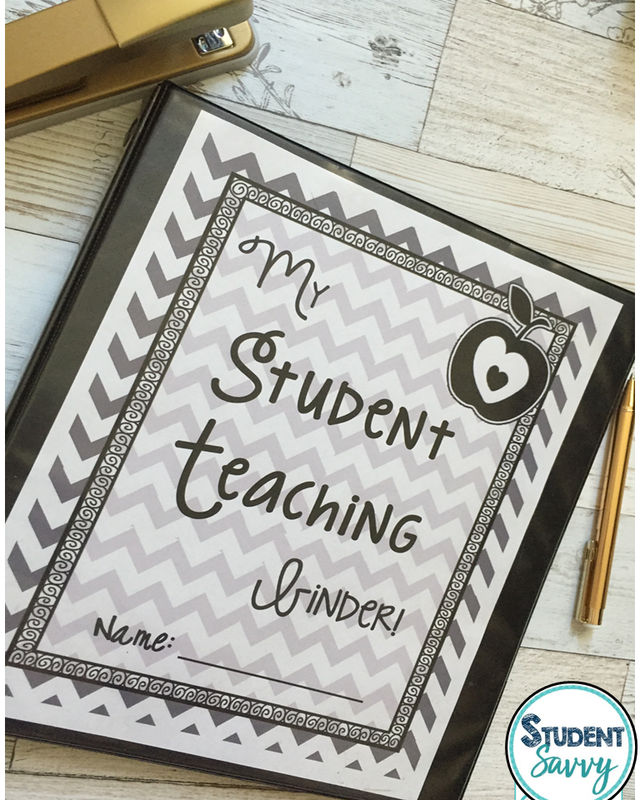 50 Beginning of the Year Activities, Ideas & Freebies! I hope everyone is enjoying their summer break! 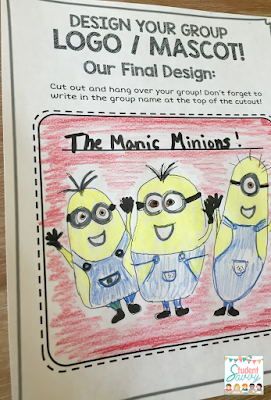 I hate being the bearer of bad news, but Back to School is quickly approaching…Yikes!! 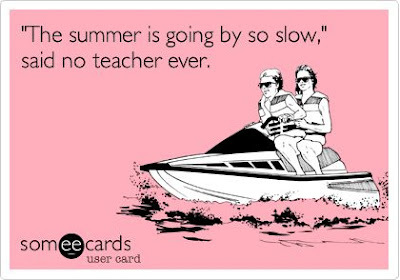 I’m sure many of you are clinging on to those last few days of vacation. If you are having trouble setting down the margarita and jumping back into school mode, I totally understand. Hopefully the transition can be a bit easier for you after reading this blog post! 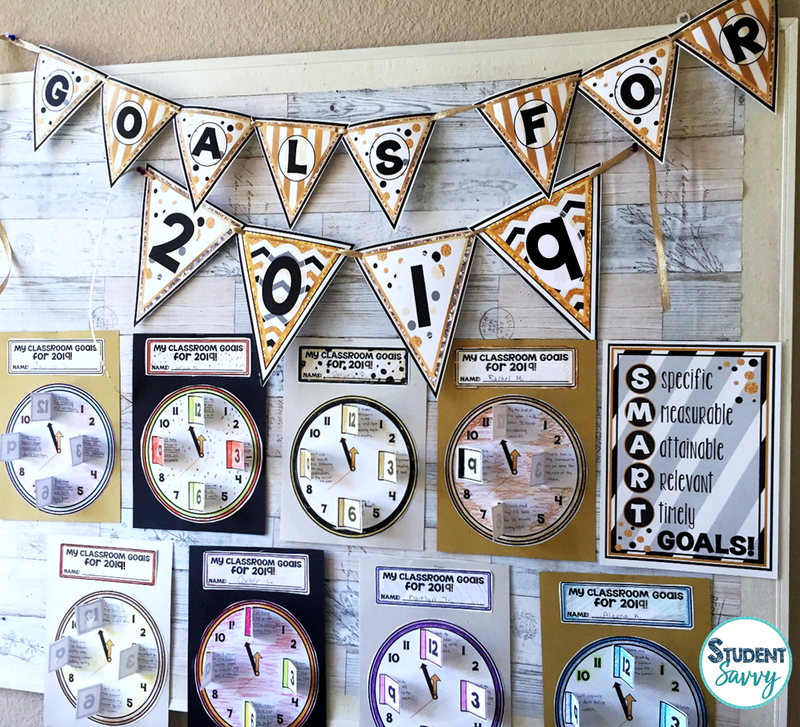 When it’s time for you to plan out the first week of school, where do you start? 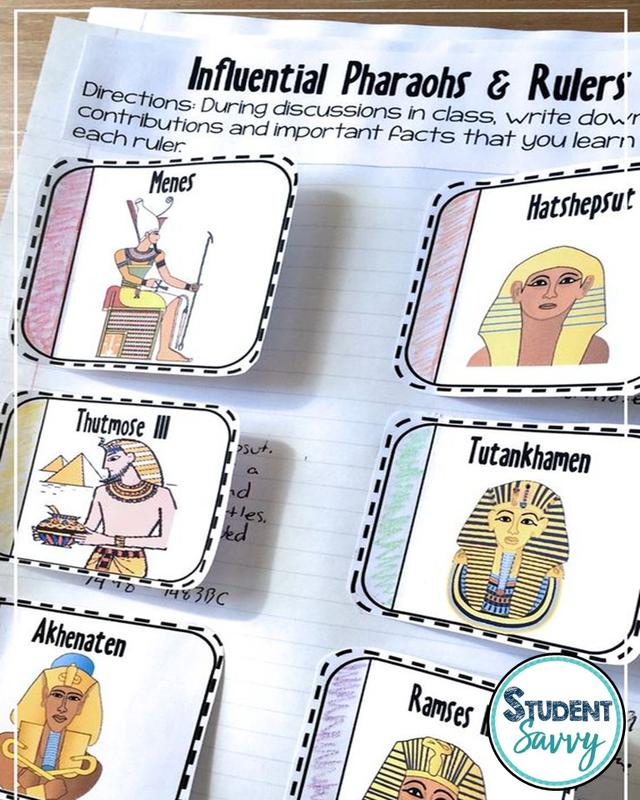 Do you focus on implementing classroom rules and procedures? Do you focus on team building and collaborative activities to provide students the opportunity to get to know each other? 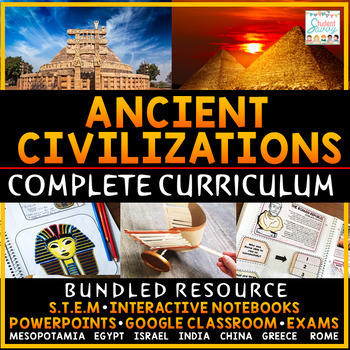 OR do you just jump right into content and curriculum? Maybe you implement a combination of all three? 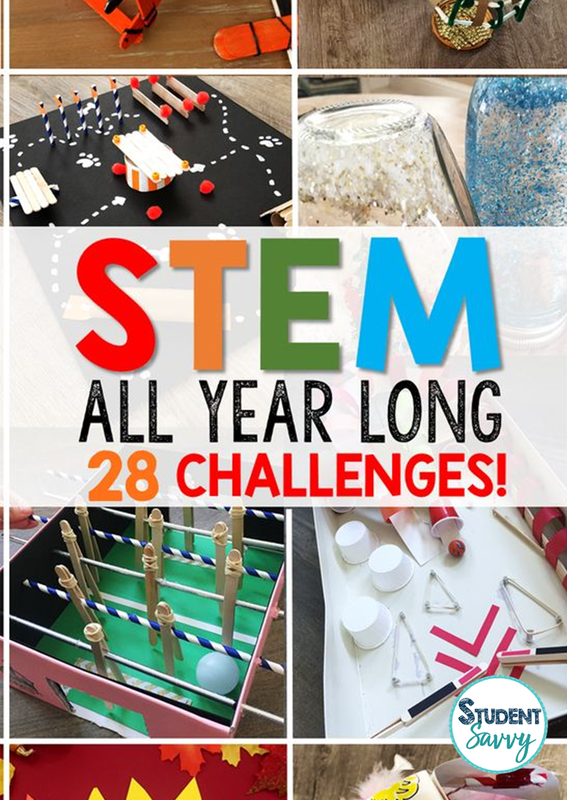 In this post you’ll find activities, ideas (and maybe a few freebies woo-hoo!!) to get you back on track with planning for the new school year. 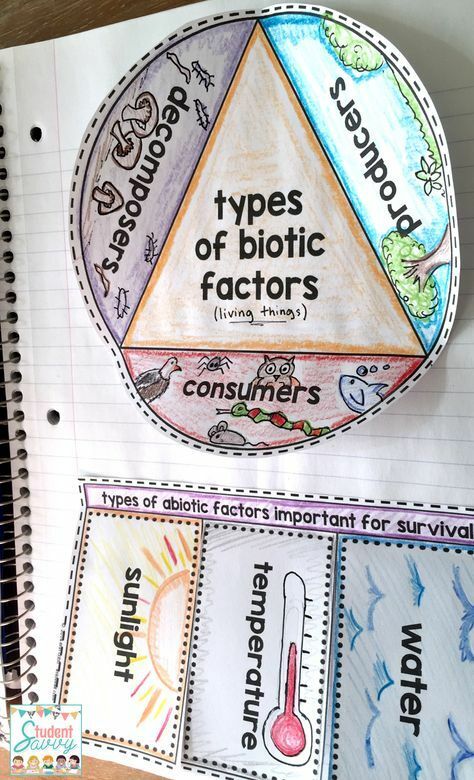 I like to break down Back to School Activities into the following four categories! 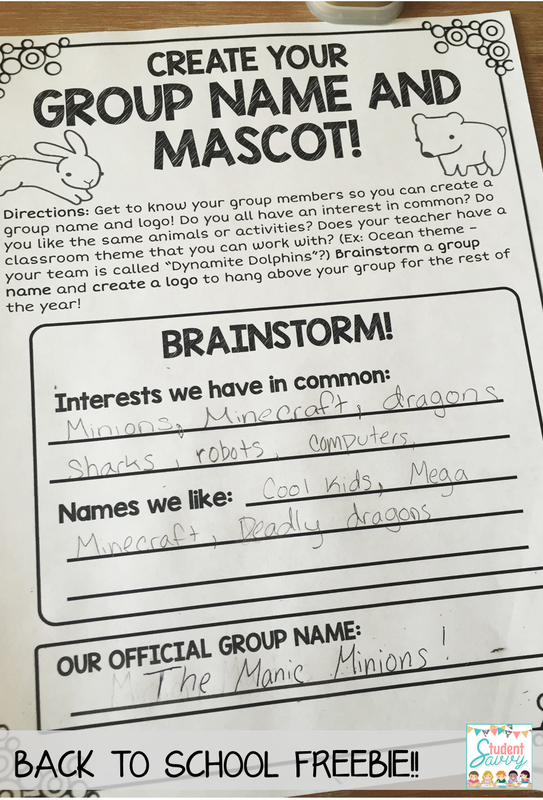 Create a Group Name & Logo/Mascot! 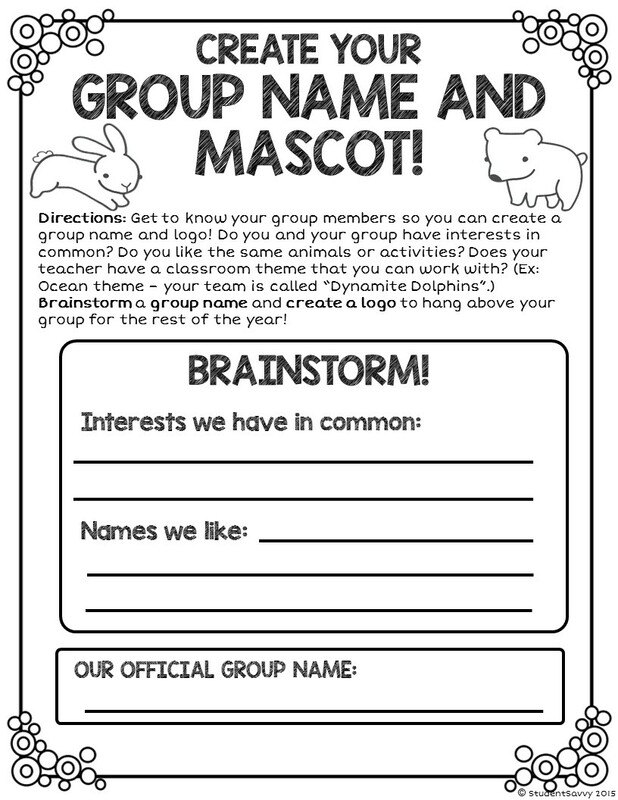 Here is a FREE resource I designed where students can work with their new group members to create a group name and image that represents their team! 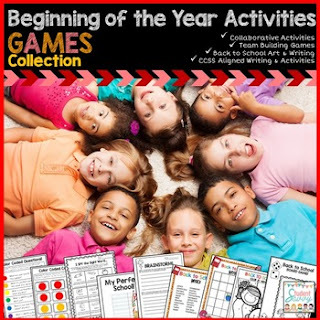 This is a great team builder and ice breaker activity! Use the link below! 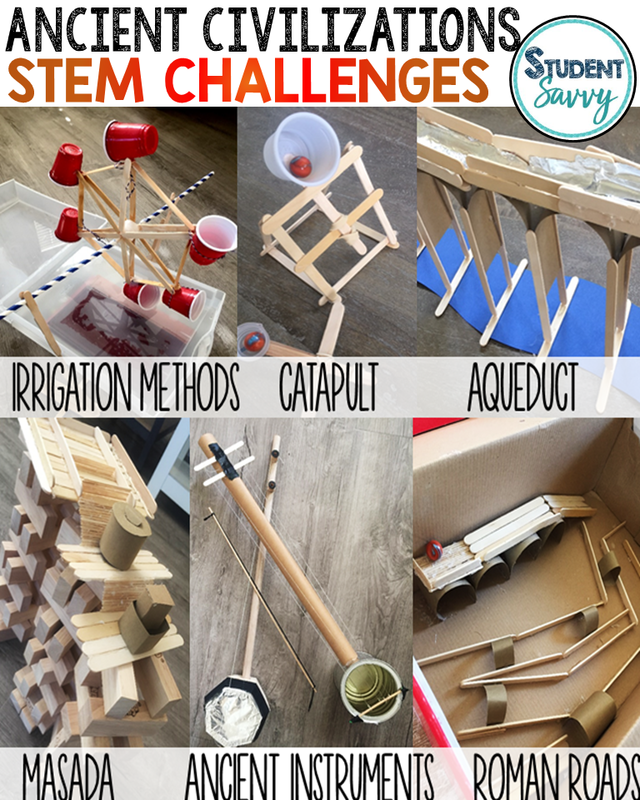 GRAB THIS TEAM BUILDING FREEBIE HERE! Have students create a time capsule! During the first week of school, ask students bring in a tin can or Pringles container. 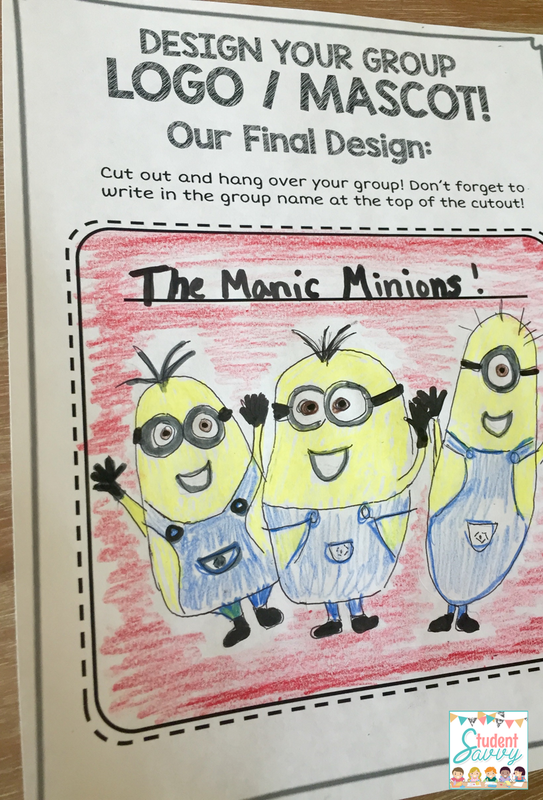 Allow them to decorate as they please. 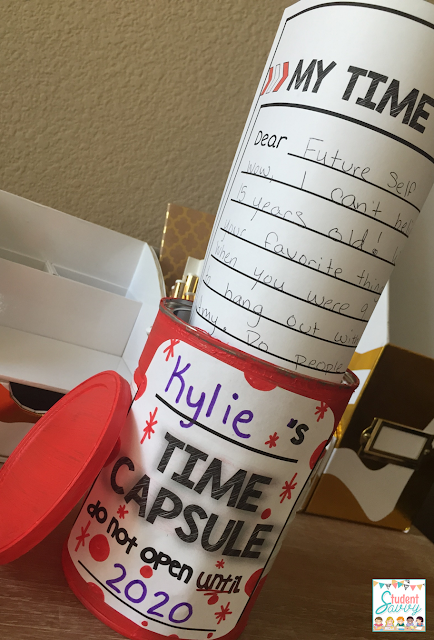 Have them write a message to their future self and write a date that they can finally open their time capsule. This is a great activity for strengthening creative writing and self development! Find the time capsule here! 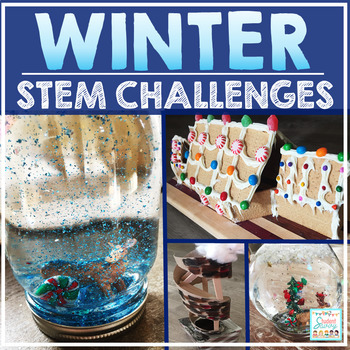 Have your students perform ice breaking tasks that promote interaction with their peers! 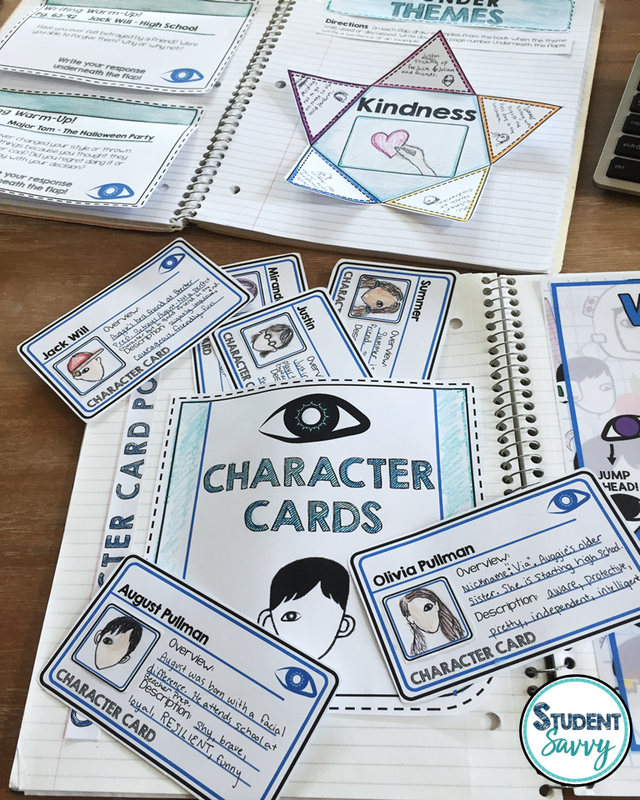 Have students create a big puzzle within their group. 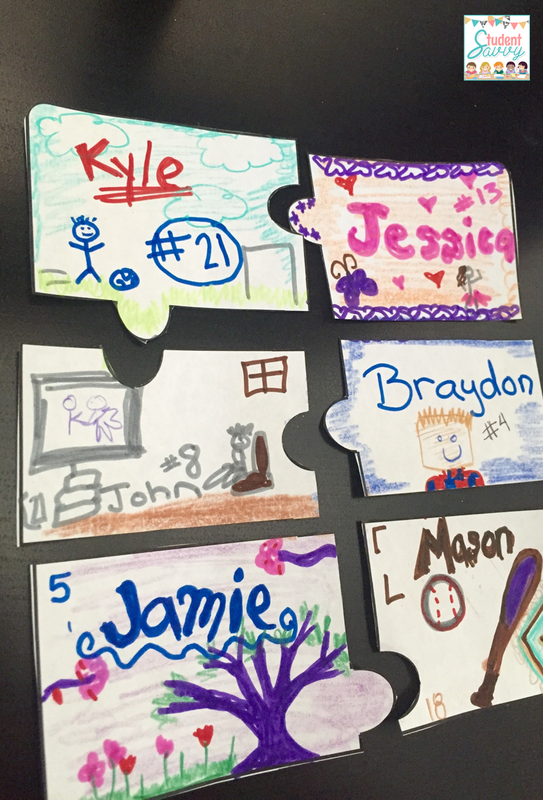 Each puzzle piece has their name and drawings of what they love. After they fit their pieces together, they can discuss in a group how they decorated their piece and why. 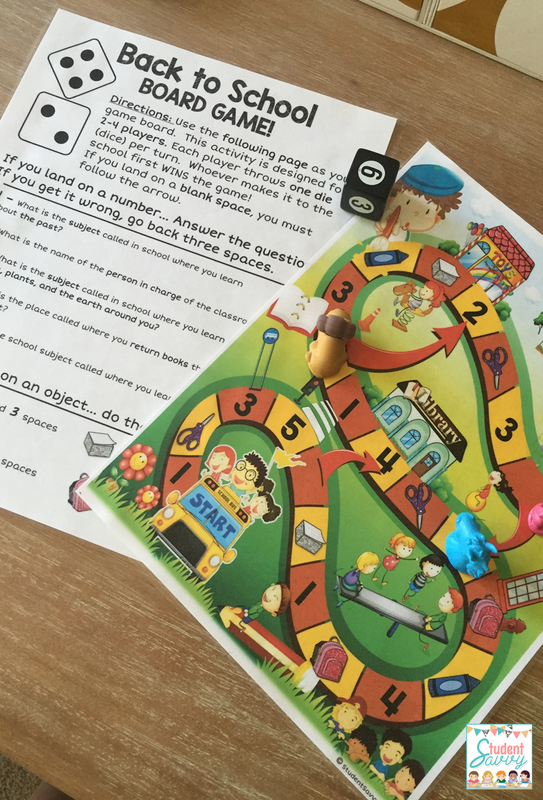 Implement fun board games for back to school! 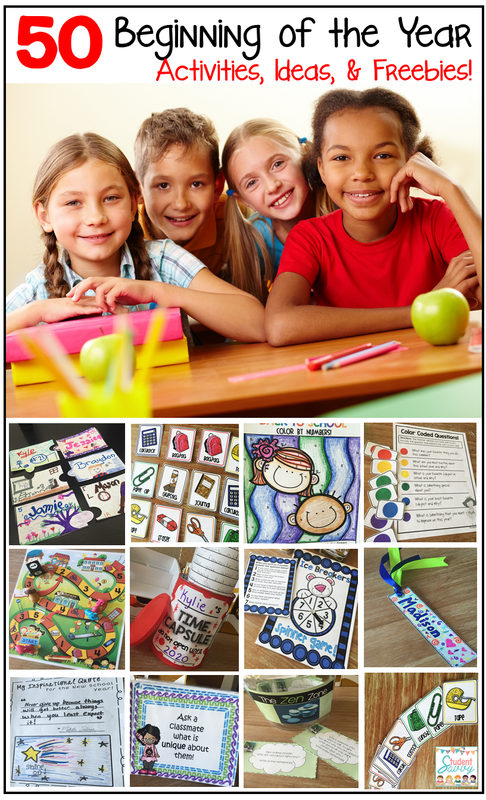 Cut and laminate “Back to School” themed matching cards. Find them here. 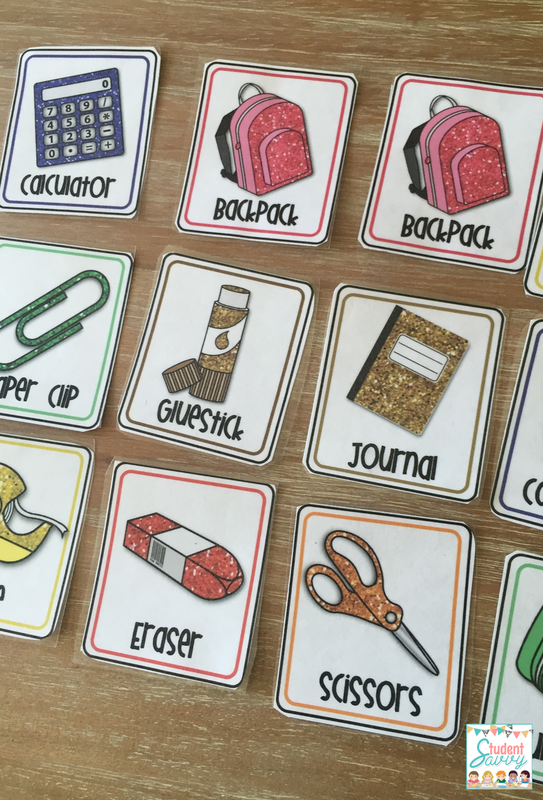 Students must go around the classroom trying to find a student who has the same Back to School card as them. The catch is that they cannot show their cards. 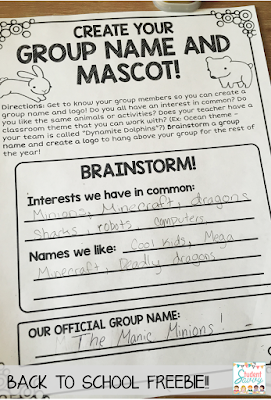 They must use descriptive language such as, “I have an item that carries my supplies to and from school”. 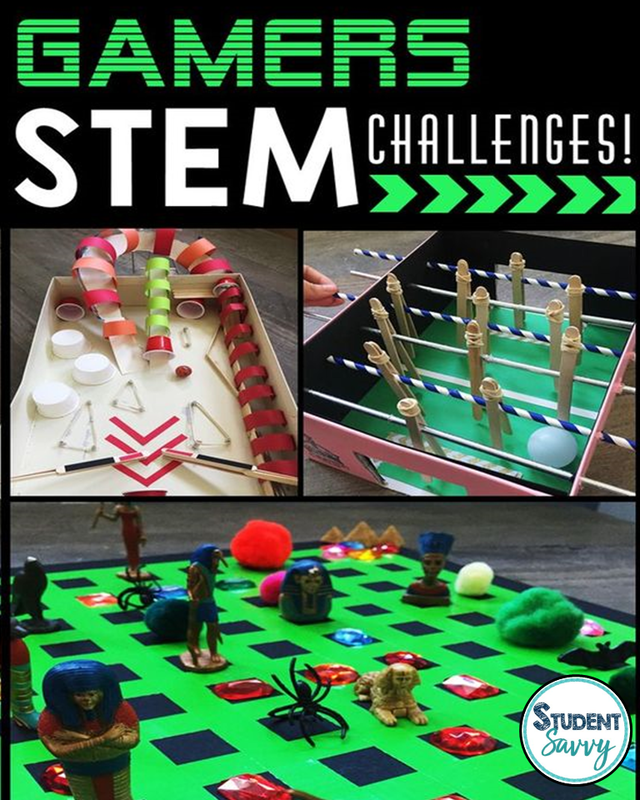 This game can be used will Skittles as well! 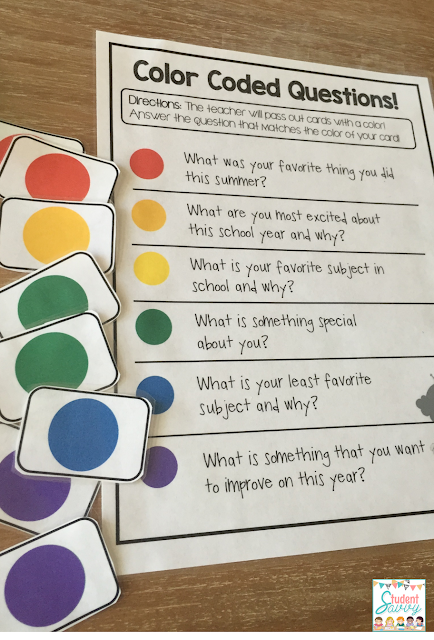 Have students answer color-coded questions as a beginning of the year ice breaker. 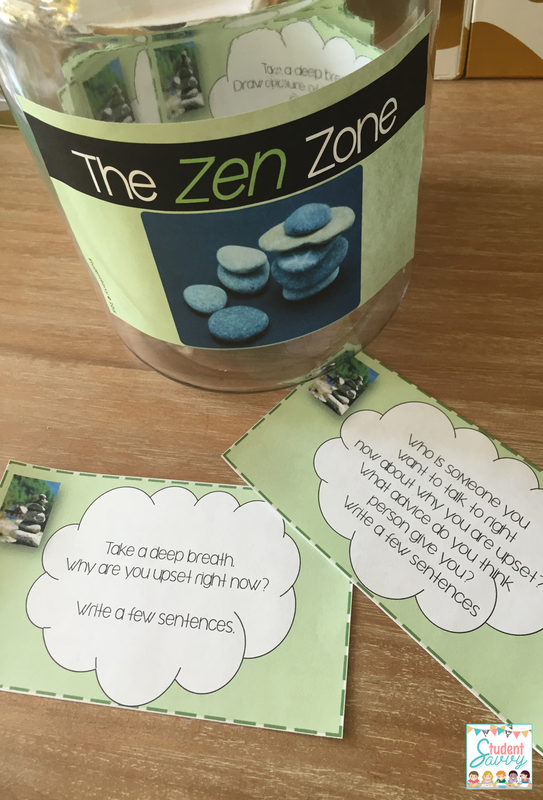 “The Zen Zone” is a great tool to implement starting the very first day of school. While giving your students a tour of the classroom, show them the assigned table called The Zen Zone. The Zen Zone has the jar, writing prompts, paper, and a pencil. Students who are having a rough day or having difficulty staying on task are sent to the desk. 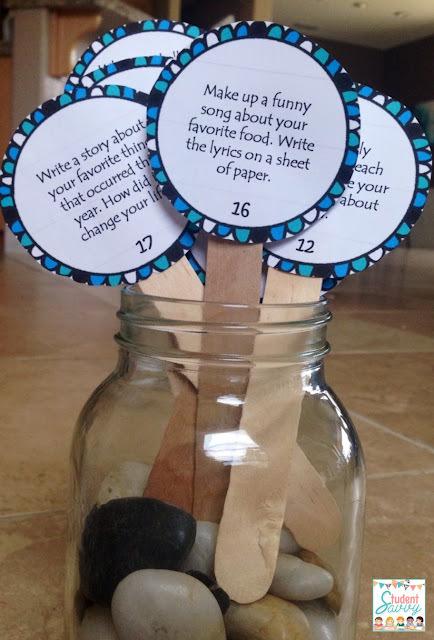 They pick a writing prompt at random from the jar. 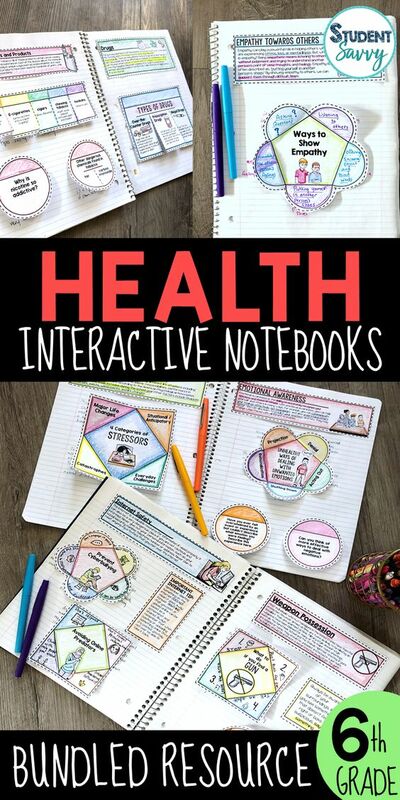 All of the prompts help them reflect on what is currently bothering them or preventing them from having a successful day at school. Get in the Zone here. 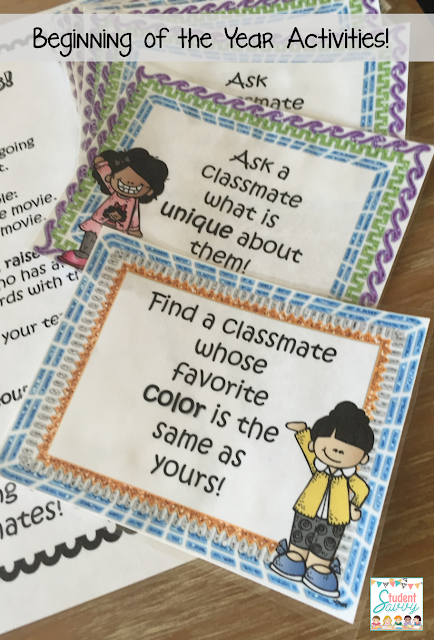 If students ask you that question, you can finally direct them to the these bored buster activity prompts. Find them here. 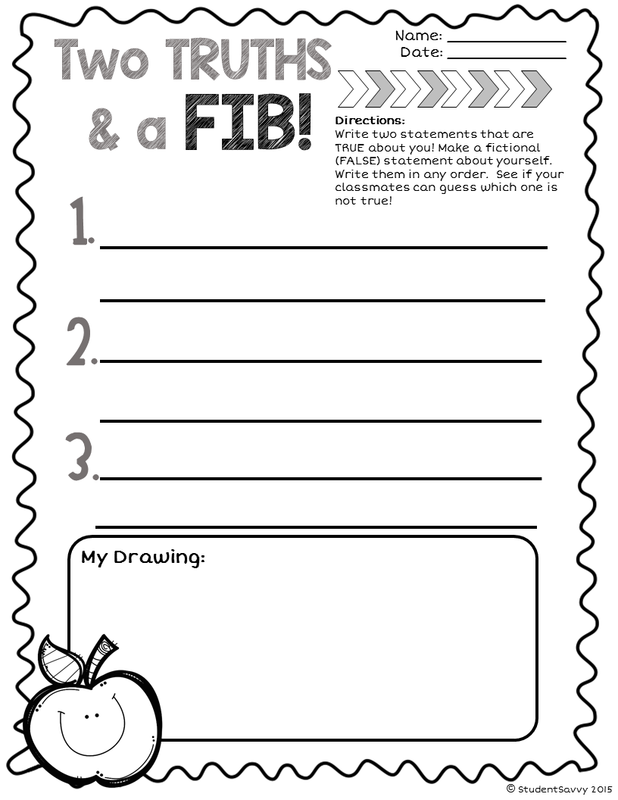 Two Truths and a FIB – FREEBIE! 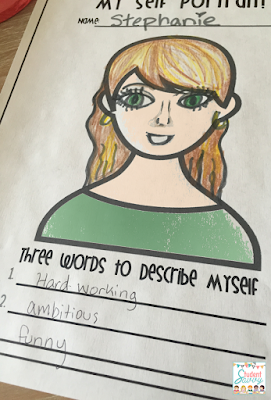 Students can create self portraits to hang in your classroom! 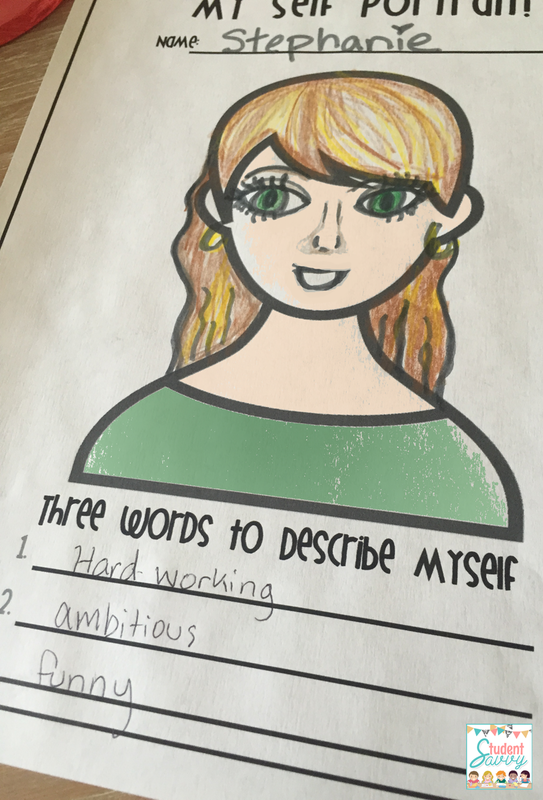 Have them come up with three words to describe themselves. 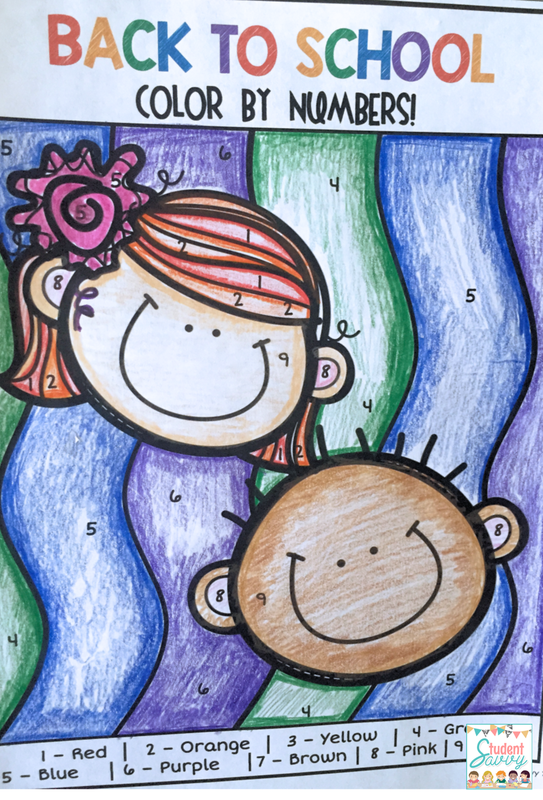 Fun Back to School Coloring- FREEBIE! Sometimes, you just need a time-filler. We understand. 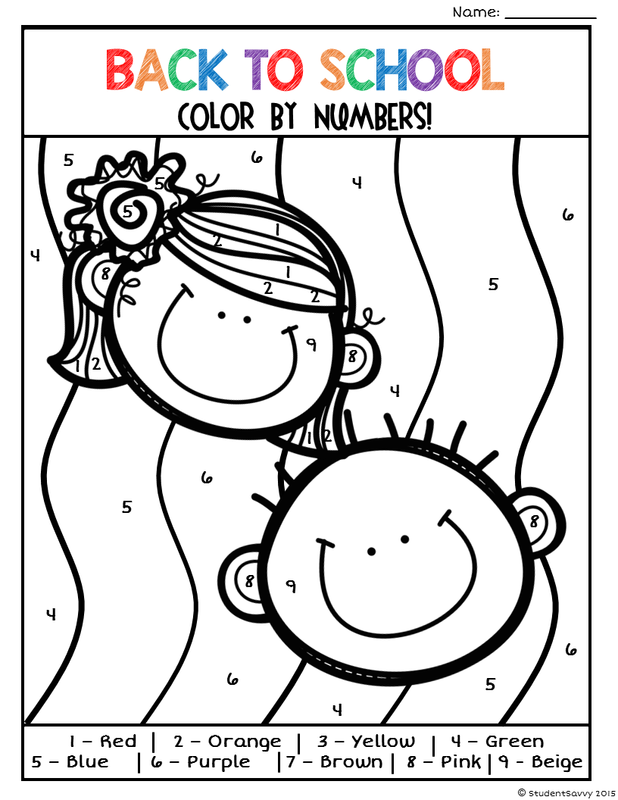 If you need a little time to set up for the next activity, here’s a free Color-By-Numbers activity for your students. 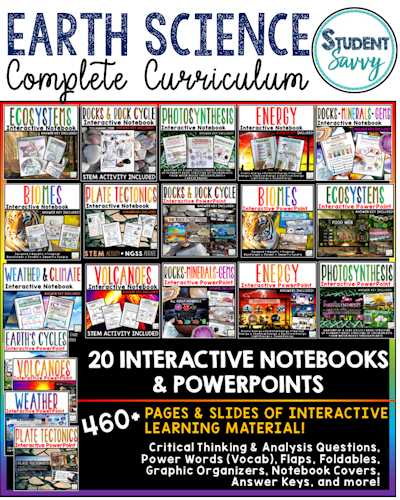 Download as a PNG file and print. For OVER 50 Back to School Activities, be sure to check out the links below! 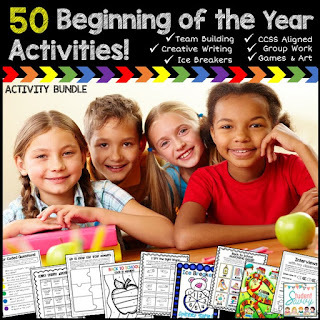 50 Beginning of the Year Activities! 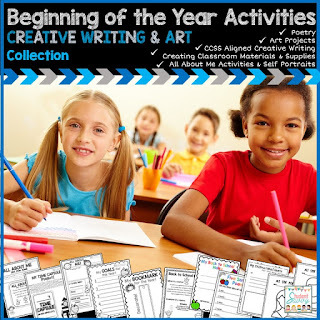 Creative Writing & Art Collection! 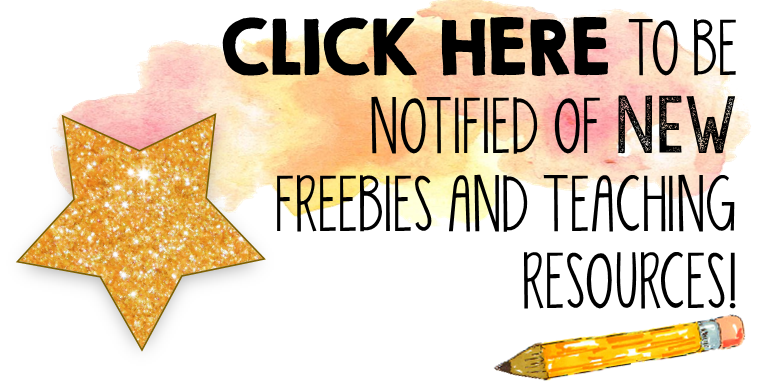 Flash Freebie – The ZEN Zone!